Lia's Food Journey: Hello There! I met a reader of my blog today! His name is Resty. It was nice seeing you! I remember replying to his comments in some of my posts. I think I told him to say Hello to me next time he see me around. Today was just a chill and relax day. 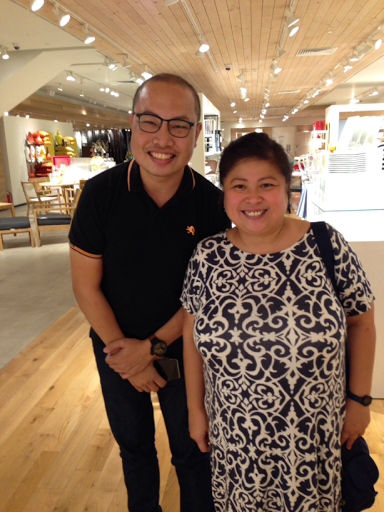 Jing, Sherman and I met at the mall because we had a few errands. 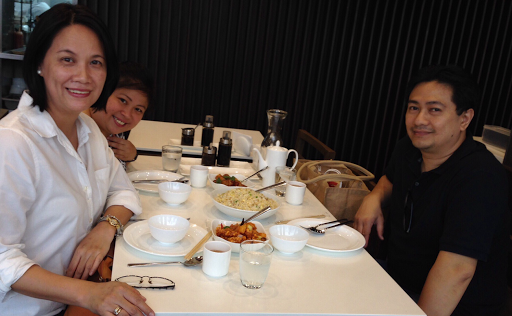 We had lunch at the newly renovated Mann Hann at The Link across Landmark. 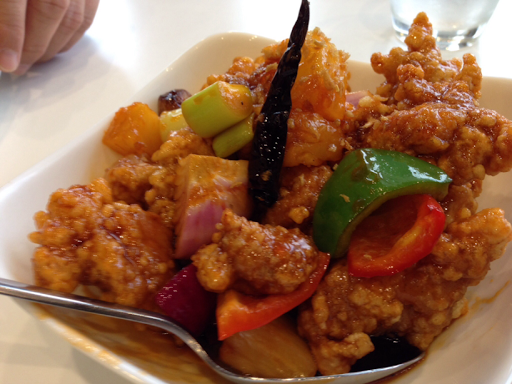 I love the Sweet and Sour Pork. 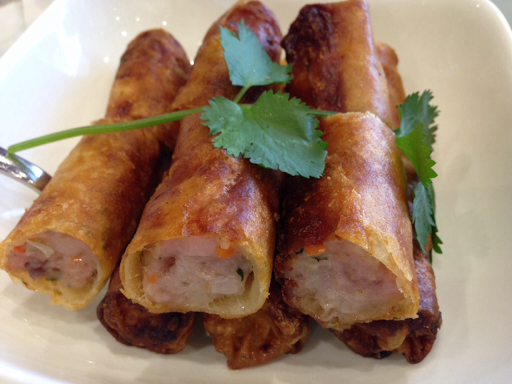 Sherman ordered the Lumpiang Shanghai. Private joke between Jing and I: Look! There are vegetables! Hahahahaha for us, vegetables are just decorations. 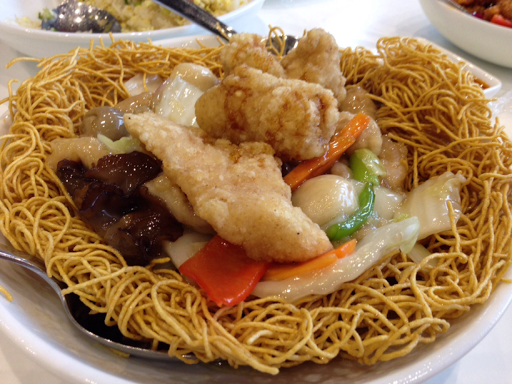 Jing ordered Crispy Noodles with Assorted Meat. So happy the day turned out the way it did. For my other readers out there, if you see me in the malls, stop and say, Hello! Who Is Jing To Me?